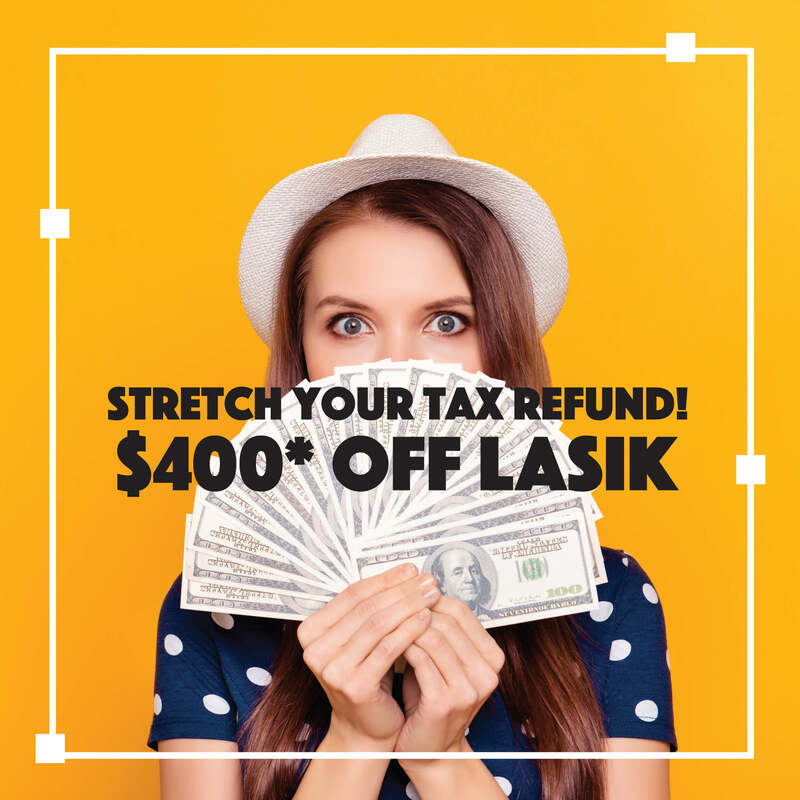 With our $400* off LASIK Special you can stretch your tax refund even further! Schedule your procedure by May 1 to receive the Tax Refund Discount! Ready to get started? Click HERE to fill out our LASIK form! For people who have refractive errors, such as nearsightedness, farsightedness or astigmatism, LASIK surgery could be the solution. The latest in laservision correction technology, LASIK (laster-assisted in situ keratomileusis), uses a laser to cut the corneal flap instead of a traditional blade. Dr. Scott Petermann, Dr. Wes Ross and Dr. Garrett Webster with Eye Partners perform LASIK surgery in our Valdosta location at our state-of-the-art surgery center (which has all the bells and whistles including our very own laser – we invite you to call to set up a tour!). Consultations and post-operative care is available in all of our locations: Tifton, Valdosta, Douglas, Moultrie and Madison, FL. We are happy to answer any questions you might have in order to find out if you are a good candidate for the procedure. Call us to make an appointment – this could be your moment!